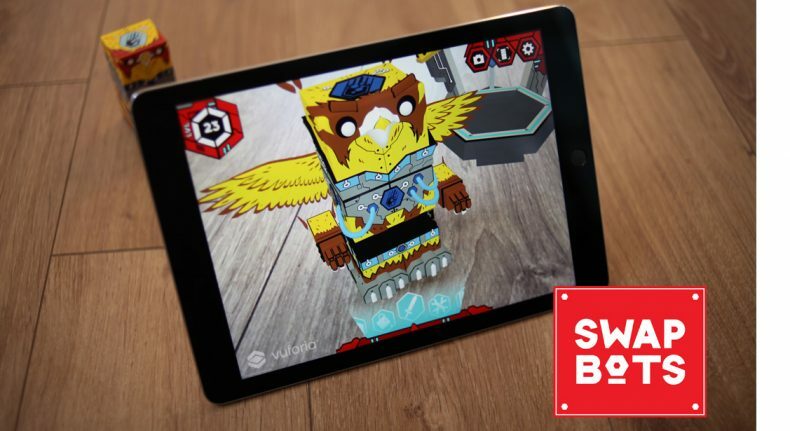 SwapBots are collectible, customizable toys that are vividly brought to life using augmented reality. The swappable Bots encourage a truly tactile connected play experience with as much time dedicated to the physical toy as is spent on the digital game. With no technology in the toy, a competitive price (with no in-app purchases) and being released for mobile devices, this is sophisticated without compromising accessibility. A patent has been produced by the AR tech underpinning the toys with SwapBots having been showcased in keynotes from senior figures at the Unity 3D games engine. The team at UK-based studio Draw & Code has recently been bolstered by hires that boast commercial and production credits with Hasbro, Angry Birds and Moshi Monsters. After a successful Kickstarter in the bag and support from the HAX accelerator in San Francisco, the Creata-produced toys are being launched to retail in 2019.